Ruth Bader Ginsburg walks back criticism of Colin Kaepernick. Justice Ruth Bader Ginsburg walked back her criticism of Colin Kaepernick on Friday, issuing a statement acknowledging she did not fully understand Kaepernick’s motivation for refusing to stand during the national anthem. Ginsburg had told Yahoo News’ Katie Couric that Kaepernick’s protest, in which he is refusing to stand for the anthem at NFL football games to protest persistent institutional racism in this country, was “dumb,” “ridiculous,” “offensive,” and “arrogant.” Her comments drew a harsh rebuke from many of her progressive fans and even spurred the creators of The Notorious RBG meme to publicly disagree with the justice. Ginsburg is very likely telling the truth by proclaiming ignorance about Kaepernick and his movement. Her statement rings true for three reasons. First, as she said, the Couric interview was meant to focus on Ginsburg’s new book—but instead, Couric asked a series of fairly political questions, culminating in the Kaepernick interrogation, which felt quite random. Second, after calling the protest “dumb,” Ginsburg immediately launched into her standard spiel on flag-burning, explaining that she finds certain protests offensive but believes protestors themselves should not be arrested. Yet nobody is seriously threatening to arrest Kaepernick. It seems probable that Ginsburg mistook Couric’s query for a legal question, and was eager to proclaim that even offensive protests deserve free speech protections. Third, and perhaps most importantly, Ginsburg is definitely not plugged in to the NFL or the sports world more broadly. Yes, the Kaepernick activism has moved beyond the sports section, but it is easy to see why it might still befuddle Ginsburg. What are the odds that the justice has ever attended a football game? Or that she understands the role of the national anthem in American sporting events? Slim to none, I’d wager, so it makes sense that she would be bewildered by the entire controversy. Indeed, she may not have heard about it before Couric brought it up, and based her snap judgment on the few facts that Couric provided. None of this excuses Ginsburg for condemning Kaepernick so harshly without looking more deeply into his protest. But it should hearten Notorious RBG fans who experienced severe cognitive dissonance upon hearing their hero denounce a sincere civil rights protestor. 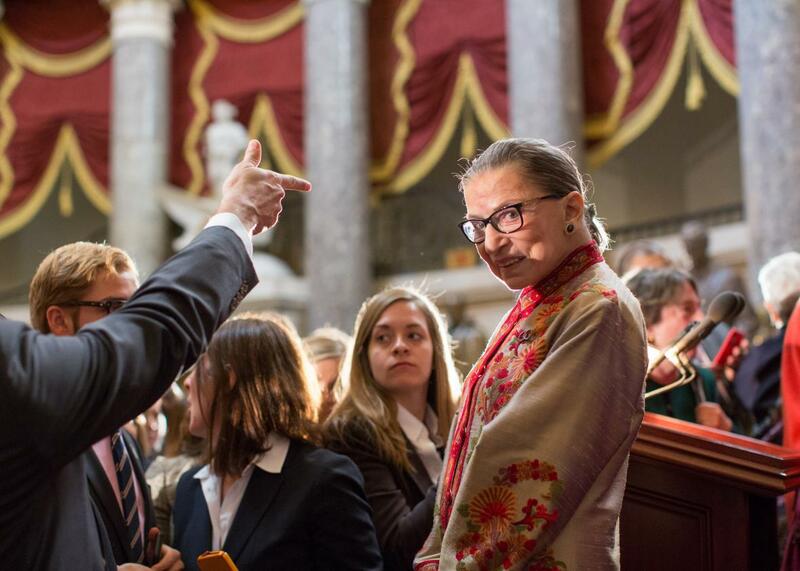 And Ginsburg herself deserves some credit for issuing a refreshingly honest mea culpa. We all make mistakes. Ginsburg does not deserve to be remembered for this one.